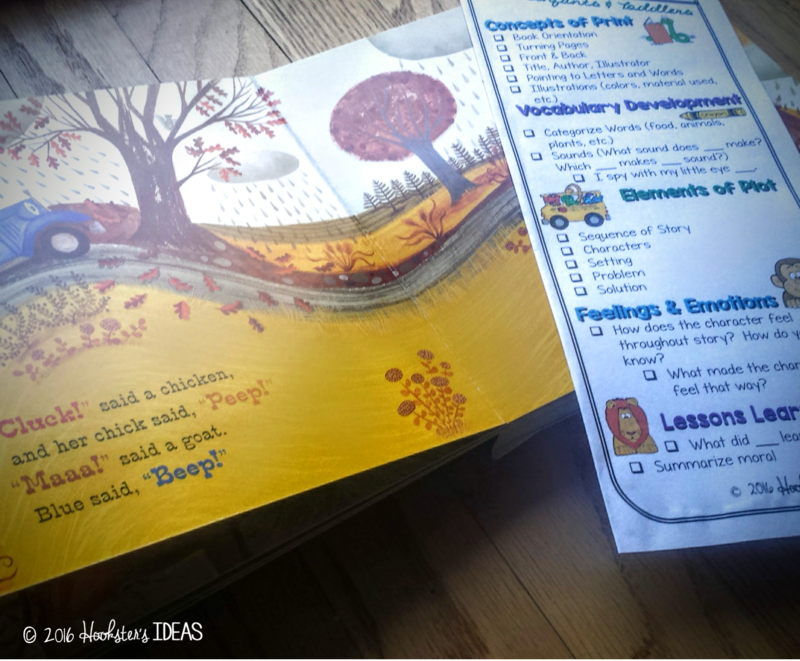 Repeated readings are very useful with older students to understand complex text and build fluency, but are they as important with younger children, like toddlers? ABSOLUTELY! My 21-month-old consistently picks up The Little Blue Truck by Alice Schertle for me to read to him. It has become almost a daily obsession at our house. To the point that my husband moved one of the copies (yes, we have 3) up to the top shelf of the bookcase so he will choose a different book to read at bedtime. This got me thinking about why he consistently chooses this book over others and what I do to vary the readings so that he is learning something new every time he reads it and so I can mirror his enthusiasm for this book every time I pick it up. As an educator, I naturally apply what I know about literacy and learning to read to our read alouds, but for my husband, it doesn't come as easy. Luckily, he is willing to learn through my example and I will often see him do something I did earlier, when he is reading with him later. This is probably one of the easiest things for parents to teach their children at an early age. Just by picking up books and reading with them, to them, and modeling adult independent reading, ignites a curiosity in them to want to pick up books and explore them. Book Orientation: Books have a right-side up and we read, generally, right to left and top to bottom. 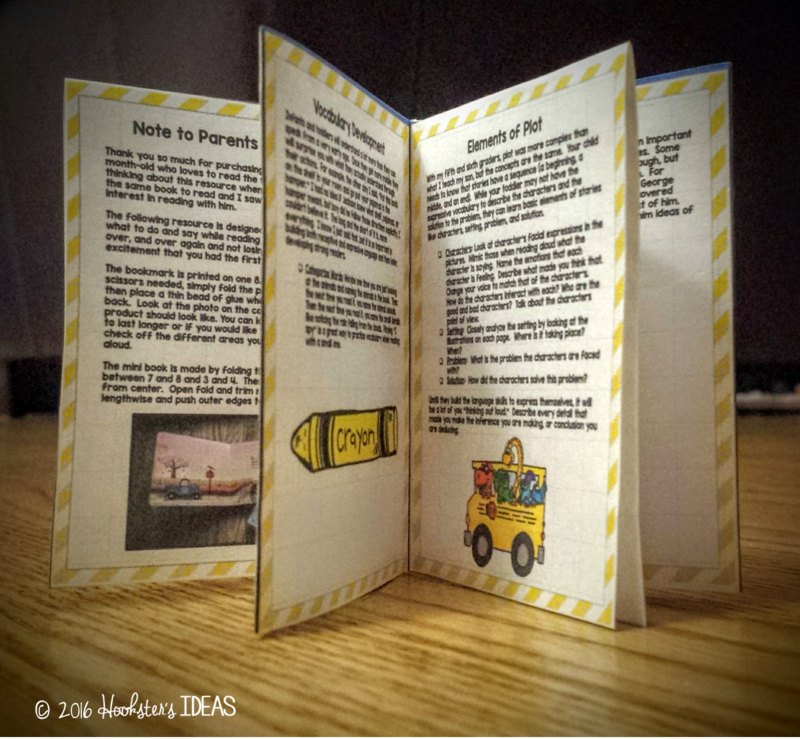 Turning Pages: Board books make teaching this concept easy. Front & Back: yep, enough said. Title, Author, Illustrator: Use these words, even with your infant. I am a strong proponent of not "dumbing" down the vocabulary for your child. Use the academic language so your child will learn it too! They may not be able to say those words for a LONG time, but they will start to understand what they mean quickly. Point to Letters and Words: As you are reading, slide your finger under the letters and words to show them where the story is coming from. If the words are large enough, trace the letters with their fingers. Illustrations: Choose books that have great illustrations. Children learn so much from the pictures in books. Talk about the different colors, the materials used (crayon, pencil, paint, camera, etc. ), and name E.V.E.R.Y.T.H.I.N.G.! Infants and toddlers will understand a lot more than they can speak from a very early age. Once they get more mobile they will surprise you with what they actually understand through their actions. For example, the other day I said, "Put this book on the shelf in your room and go put your pajamas in the hamper." I had no idea if Jackson knew what shelf, pajamas, or hamper meant, but boy did he follow those directions explicitly. I couldn't believe it. The long and the short of it is name everything. I know I just said that, but it is soooooo important in building both receptive and expressive language and then later, developing strong readers. Categorize Words: Maybe one time you are just looking at the animals and naming the animals. Then the next time, you name the animal sounds. Then the next time, you name the small details like noticing the rain falling from the clouds. Playing "I spy" is a great way to practice vocabulary when reading with a small one. With my fifth and sixth graders, plot was more complex than what I teach my son, but the concepts are the same. Your child needs to know that stories have a sequence (a beginning, a middle, and an end). 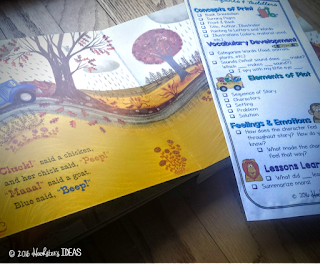 While your toddler may not have the expressive vocabulary to describe the characters and the solution to the problem, they can learn basic elements of stories like: characters, setting, problem, and solution. Characters: Look at character's facial expressions in the pictures. Mimic those when reading aloud what the character is saying. Name the emotions that each character is feeling. Describe what made you think that. Change your voice to match that of the character's. How do the characters interact with each? Who are the good and bad characters? Talk about the characters point of view. Setting: Closely analyze the setting by looking at the illustrations on each page. Where is it taking place? When? Problem: What is the problem the characters are faced with? Solution: How did the characters solve this problem? This links with elements of plot and how the characters are feeling and the emotions they are displaying, but you can also discuss your child's emotions or feelings when reading the book. Children's books are perfect for helping children learn important life lessons, without having to experience it themselves. Some may relate to the experiences the characters go through, but some are foreign and might require some explanation. For example, I remember the first time I read a Curious George book to my son. He was an infant and had not yet discovered that he could move and his curiosity could get the best of him. Now when we read those stories, they seem to give him ideas of what trouble he can get into next! Eeek! 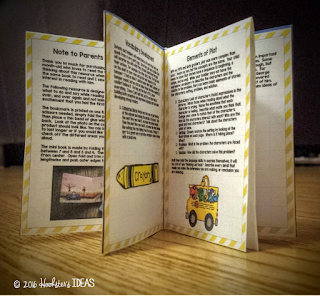 Snag a cheat sheet bookmark and mini-book here that is great to keep in those books that your child continues to go back to, repeatedly! Perfect for parents and all caretakers of small children.